Egyptian mummy portraits are among the oldest paintings that have survived from the ancient world. Incorporated with the wrappings of mummies, these strikingly realistic portraits of the deceased reflect a blending of the artistic style of Greco-Roman culture with Egyptian funerary traditions. We visit the galleries of the Getty Villa with associate conservator Marie Svoboda to learn about a project that will bring greater understanding to these remarkable portraits and the era of ancient Egypt. MARIE SVOBODA: These objects represent the earliest type of painting in existence. They are the beginning of painting technology and they carry on a tradition for 2,000 years beyond the point from when they were made. CUNO: In this episode, I speak with Marie Svoboda, associate conservator at the Getty Villa, about ancient Egyptian panel paintings. In 2013, the Getty Museum’s Department of Antiquities launched a research project on ancient panel paintings to enhance our understanding of their materials and manufacture. These evocative works of art, dating back some 2,500 years, combine the style and technique of Greco-Roman painting with the funerary function of Egyptian mummy portraits, and provide ethnographic insight into the role such paintings played in ancient Egyptian culture. But until the Getty-led research project, how the paintings were made and with what materials and where they came from remained a mystery. Only a handful of the approximately 1,000 mummy portraits still extant have undergone full and rigorous technical investigation. To address this situation, the Getty Museum initiated APPEAR, or Ancient Panel Paintings: Examination, Analysis, and Research. The mission of APPEAR is to increase our understanding of ancient painting, including the terminology, production, materials, makers, and workshops. And as of now, thirty-five institutions have entered their analyses of two hundred and sixty paintings into a shared database. This ongoing, collaborative effort promotes comparison of the artifacts while also developing a broader understanding of artistic materials and practice in the ancient world. The results have been surprising and revealing; for example, that the wooden panels were often imported from northern Europe and the manufactured pigments from as far away as Spain. The results of this research will be presented at an international conference at the Getty Villa on May 17 and 18, 2018, followed by an online publication. To learn more about this important initiative, I spoke with the project lead, Marie Svoboda, at the Getty Villa in the gallery of mummy portraits. I started by asking her about the pictures on display. SVOBODA: So we’re looking at all the portraits in the gallery here, and we can clearly see how they range in technique, materials, size. We have men, women, young children, different ethnicities. And one thing to notice is the quality of the panels, some of them being maybe two millimeters in thickness, which is incredible, others that are quite larger, and others that are in different conditions, clearly showing the evidence of time or age. In the case of one of the portraits, the panel is a recycled piece of wood that dates to 600 BC. So that was a very interesting discovery when we were dating the panels. You also see one painted on a linen shroud, which is another type of style of creating these mummy portraits. CUNO: We’re standing in front of one that’s called Mummy Portrait of a Woman, a Romano Egyptian painting from AD 170 to 200, just into the third century of our common era. Describe this to me. ’Cause it looks as if it could’ve been painted by Matisse, the way the pink folks of the dress are summarily put on with a kind of bravura brushstroke like Matisse would’ve put onto it. But describe it for me if you can. CUNO: She’s in the prime of life. CUNO: Tell us about the debate. Because when you look at these, they look so lifelike and so present as a personality as well as a human figure. Why is it that we think they may have been painted after their death? SVOBODA: Well, there are two main reasons that I can explain. One is the fact that those that are still attached to their mummies, many of them have been CAT scanned. And the age of the mummy within the wrappings compares to the age of the portrait. So you see a lot of similarities in the timeframe there. So we’re assuming that the portrait was painted at the time of death. You’ll also see that the eyes on most of these portrait s are extremely large and very overly exaggerated in their lifelike quality. And we feel that this may be the artist’s attempt to breathe life into the portraits, to make them look like the sitters are actually alive at the time that they were painted. CUNO: Yeah. Can you tell from the depiction of the sitter, by either the costume or the decorative jewelry or the rouge on the cheeks or the colored material on the lips, a social status of them? SVOBODA: Absolutely. Well, one of the interesting things is that only the elite would’ve had portraits painted on their mummies. So already they’re of a different social status simply because they hired an artist to create the work and they’re used on top of their portraits. CUNO: Well, that’s a good question before we go further. So were mummies then only for individuals of some certain high standing? And if you didn’t have that high standing, then you wouldn’t have been perpetuated after death in a mummy, you just simply would’ve been buried in the ground or burned or something? SVOBODA: Well, we know that with the excavations of mummies during the nineteenth century, when most of them were found, that probably five out of hundreds had painted portraits on them. So we assume that those are for the deceased who were of higher social status, who had the money and the means to have a mummy created for them with a painted portrait, while all the others were mummified but didn’t have portraits. And I assume that by looking at all the portraits, you begin to see a range of social status and economic standing for a lot of these portraits, based on the quality of the painting and the quality of the materials used to make them. So even within this high social status for those who were able to have portraits, you see a breakdown in those that maybe had less money versus those that had a lot more money. And you can see that example in the quality of these portraits. CUNO: Are there regional characteristics that one can identify in the dress or the appearance of the person? SVOBODA: Well, we know that the region where a lot of these were found, mostly the Fayum region, was a very prosperous and ethnically diverse area. It was an area where a lot of people moved to, where they wanted to establish a lifestyle there. It was very fertile land. So you begin to see a huge range of ethnicity in the portraits that reflects that—people coming from the Mediterranean, you have the Egyptians, you have the Greeks that were there already, the Romans that are living there. And that is depicted in the portraits. One thing that has been used to study possibly where these portraits come from are the shapes of the panels. There has been a study done on different cemeteries. And it’s partially related to maybe workshops or styles of these different locations where a rectangular portrait will come from one particular site, where those that have rounded tops or diagonally cut shapes are from a different site. So we begin to maybe be able to place them from different locations in Egypt and where they would’ve been buried. CUNO: Yeah. So these are put onto a mummy or included in a wrapped figure at the end, final process of mummification, or post-mummification perhaps. We have an actual mummy in the galleries, which we’re looking at right now. That is, we have a figure within a painted shroud, but over the face of the figure within the shroud, is a portrait of, we assume, the figure. Could you describe this one to us? SVOBODA: What makes this mummy, the mummy of Herakleides, so interesting is that he’s a melding of two different cultures. There’s a 3,000-year tradition of mummification in Egypt at this point when the Romans come in, and they take this tradition of mummification, they take the ritual of the process of desiccating the body and anointing it with oils, and then decorating it as they would have in the pharaonic period. But what’s new is they add these beautiful portraits, these Greco-Roman portraits that are more in the Classical style. And they’re added to them to give more of a recognition to the mummies. 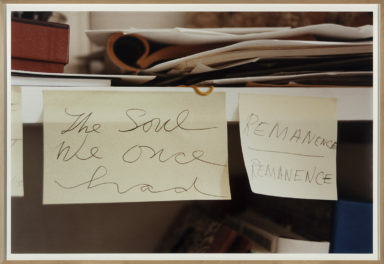 It’s believed that the soul of the body will come back to the body [if] they can recognize it, or the soul of the individual will return to the body if he recognizes himself. CUNO: Was this process known and this aesthetic of the portraits known in Rome? And if so it was known in Rome, was it ever imitated in Rome, in terms of painted—? SVOBODA: [over Cuno] No. The preparation of mummies, the technique of mummification was only practiced in ancient Egypt. CUNO: But what about the portraits? Were there similar such painted portraits in Rome at the time? CUNO: It’s really a local area, a local phenomenon. SVOBODA: [over Cuno] It’s a very localized technique. The style comes from perhaps frescoes and wall paintings where you do see the tradition of creating more lifelike portraiture in the Greco-Roman period. During the pharaonic period, the portraiture is very stylized. It doesn’t have the individual features that you would see in these types of portraits. So it’s a new type of object, a new material. And these are really the beginning of panel painting and shroud painting, painting on canvas. The oldest surviving painting technique is found in these portraits. CUNO: And over the range of how many hundreds of years were they made? SVOBODA: Well, we know that they started around the first century AD and they were made into the mid-third century, so a fairly short period of time. Around late third century, early fourth century, there was a decree that made the process of mummification and creation of these mummies Pagan. So it was a process that ended abruptly simply because of Christianity and the new way of interring human remains. The process of mummification was considered to be inappropriate and a Pagan ritual. And so they pretty much stopped during this period of time when Christianity became more influential. CUNO: Did the painters then paint other things like chairs or walls? What did they paint afterwards? Or did they stop painting? SVOBODA: Well, you know, I don’t know. There’s a gap in time between this and the beginning of the Christian icons. And you begin to see those coming into style shortly after the Roman period. But what’s really interesting is that where they learned the materials and the techniques to create these Christian icons is mysterious since most of these were in the ground and they were not visible or accessible. And so the tradition was probably handed down by family or by artists that continued the artistic tradition of painting. What they did during the period of time when the mummy portraits ended and the icon painting became well known, I’m not really sure. I think it’s a very interesting transition. And there’re some very, very early Christian icons that may have still be in the timeframe of when the production of the mummy portraits happened. But it’s still a very mysterious and interesting time for the evolution of painting. CUNO: Now, in this room there are maybe a dozen such paintings. When you first came to me with an idea about a project to study these mummy paintings—and not just these in our collection at the Getty Museum, but at other museums, to try to get a kind of taxonomy of all these paintings and try to understand better—how many did you expect to find and how many have you found as part of your project? SVOBODA: Well, we started the project in 2013. And we started with eight museums, and today we have thirty-three museums that are participating in the project. The collaboration is to contribute technical studies of these artifacts as we look at them analytically, technically, and be able to describe the methods and materials used to fabricate them. We are contributing the information into a database and sharing this information. The total amount of portraits we have in the database right now are about 275, which is a lot more than I ever dreamed of having in the project. It’s been very, very exciting to have this amount of information. CUNO: And what percentage of the total known mummy portraits is 275? SVOBODA: It’s getting close to 30% of all the known portraits there are in collections, private and institutional, around the world. I believe the number is about 1,028 portraits that are known. So we’re getting close to about 30% of all the portraits that are out there. And it doesn’t mean that we have complete entries in the database for everything that we’re looking for, but we’re beginning to compile the images and all the known portraits that are in collections. And some of them not published, some of them not known, are going into the database, so that we can share this information with other colleagues interested in this topic and begin to really investigate and understand these artifacts. CUNO: Yeah. So I assume there are two parts to this. One is the technical analysis of the objects themselves, and then there is the compiling of the database by means of a digital platform. So let’s approach those two things separately and talk about the actual technical analysis you’ve undertaken and what you’ve found from the technical analysis. SVOBODA: So first of all, the study of these objects involves many, many people. So it’s not just a project that develops out of nowhere. We need to have collaboration from not only lots of people within the Getty—and we have all the resources and people here to contribute to that—but also internationally. So we begin to reach out to other colleagues who are experts in the field, who do certain types of analysis and examination that contribute to the study. So it’s a really wonderful collaboration of efforts to understand a portrait. CUNO: Well, describe this portrait before you begin to get into the technical analysis of it. And then what it is about this portrait that attracted you and what you found as a result of your analysis. SVOBODA: So this is a portrait of a young woman. She’s painted in the tempera technique, which is probably a little less than 50% of the types of paintings that you find. Most of them are in the wax technique or the encaustic technique. She’s very simply painted, almost like a caricature. And what is very interesting about her is she has very diagnostic features in the style in which she’s painted. That enables us to make comparisons with other portraits in other collections. So this is something that we’re exploring in the effort to understand potential artists’ hands and workshops. And in addition to the stylistic comparisons that we see with her, we begin to notice that there’s certain types of materials and pigments that we can identify, mostly by nondestructive ways. And the nondestructive, I mean we do a lot of imaging, which allows us to identify pigments, binders, materials, various other features on the surface of the panel, that then we can make comparisons with the other portraits on. CUNO: Well, tell us about how you take the imaging, what the imaging comprises, and how it is that you learn what you’ve just described? SVOBODA: Sure. Well, imaging is that we’re not just taking a photograph in visible light. I mean, we’re doing that as well. But we’re also looking at other technical types of photography, including radiography, which allows us to look through the wood, through the painted surface, and be able to identify features that perhaps have very different properties. And through those properties, we can identify the materials. We do types of multispectral imaging, which includes ultraviolet light, infrared light, other techniques that enhance certain types of pigments, such as visible induced luminescence, which allows us to the see the pigment Egyptian blue. CUNO: So this is a way to find out what materials might’ve been used in the process of painting, without taking a sample of the [painting] [SVOBODA: Absolutely.] and subjecting it to, as you say, destructive analysis. CUNO: [over Svoboda] Other portraits that look like this, [SVOBODA: Well—] so that we can say we have two that look similarly, but they’re made in very different materials that would be surprising, or—? CUNO: You mean that it seems to be precisely the same person twice or it’s another person that just looks very similar? SVOBODA: Another person that looks very similar. A male depicted in the Kunsthistoric Museum, but very similar in appearance and style of how it was painted. But we know that the wood is different from the wood that was identified on her. And that isn’t surprising because wood was such a rare material in Egypt that for them to find panels to create these portraits, they probably had to recycle and reuse wood from other objects. Or they had to go to other locations to get whatever types of wood they could to produce them. So some differences are interesting and sheds light in the value and importance of the materials that they were using. And other materials—such as the use of indigo, which is a dye, a manufactured dye; madder lake, which is also a manufactured dye—we’re seeing this on the other portraits as well. And that creates these wonderful similarities between them in style for how they were painted. CUNO: Did you discover the process some materials that led you to understand the trade that tell you something about the trade that the Egyptian and Roman era folks were engaged in? SVOBODA: Well, one of them is definitely the wood. We know that most of the portraits are painted on linden wood, which is a Northern European wood, was imported into Egypt. And it was selected for many properties, many wonderful properties that it has for creating a painting. They can make very thin panels. The wood itself has no knots or irregularities, so it creates a perfect surface for producing a painting. And also it has a natural insecticide in it, so that helps in the preservation of the artifact. 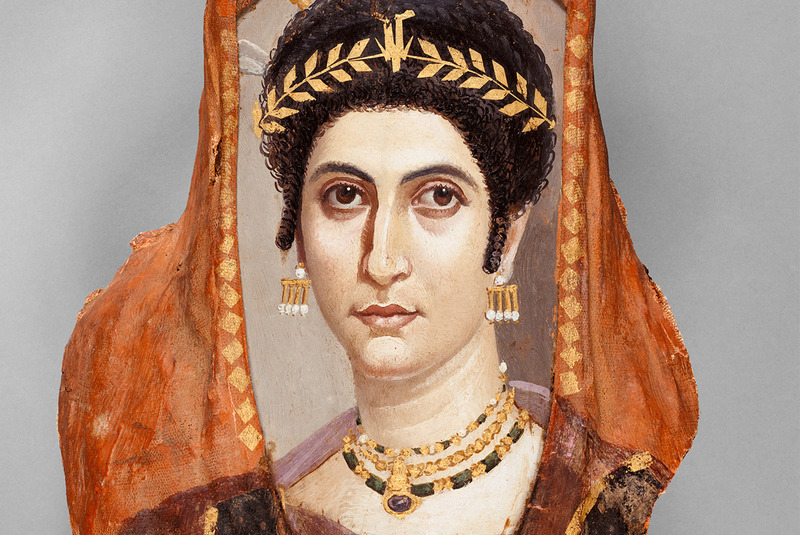 But another material that comes from a long distance is the red that is used to paint the shroud of this complete mummy of Herakleides, as well as the portrait of Isidora. The portrait of Isidora is a very, very exquisitely painted portrait. And what remains on her are parts of her linen shroud. So unlike the other portraits where all the linen wrappings have been removed, she still has traces of that on her. And she’s painted with a red pigment, the same red pigments that’s used to paint the complete mummy of Herakleides. And that is another manufactured pigment whose source was found to come from Southern Spain, a site called Rio Tinto, which was used for silver mining. And this is a byproduct of that process. The material was then roasted and produced a pigment called red lead. And they used that to paint not only these two mummies but several others. We’ve identified the group in which they’ve pained using this pigment, and it may indicate a potential workshop or some special value for this pigment, which only entered Egypt with the Romans. It was not known in Egypt before the Roman occupation. CUNO: Now you’ve mentioned workshop a couple of times. And the comparison between the figure that we’re looking at now, that looks to be quite simple and charming, as opposed to Isidora, which is spectacularly painted; she seems to be hugely sophisticated. So they’re very different kinds of paintings and very different kinds, apparently, of people. But would a workshop be for hire and you would walk in and you would say, “My wife just died, I need to have a painting painted of her, and could you paint that painting for me?” I mean, what is the relationship? What do we know about the relationship between patrons and painters? SVOBODA: Well, this is what we hope to learn more about, because what we know about workshops is very little. What we can say now is that we’re beginning to identify the materials and techniques that would indicate a particular workshop. And we also know that maybe certain cemeteries had local workshops that then we can begin to classify them based on the objects that are being found in those cemeteries. But really, knowing which workshops and how they worked, where they got their materials, and how they created these painted portraits is still a mystery yet to be discovered. We can see that some were clearly very sophisticated, such as the ones that painted the portrait of Isidora, which is very exquisitely painted. Clearly, the artist had an enormous amount of skill. And they’re working encaustic, which is a hot wax technique, very, very difficult technique to paint with. They’re using gilding. You can also tell that Isidora was a very wealthy woman, a woman of high social status, simply based on the jewelry in the depiction of her with a gold wreath and the gold decoration on her shroud, versus the one that’s the more simple portrait on a thicker panel, less higher quality materials. There’s no gold. So you know, this could’ve been a very different style of workshop, or it could’ve even been somebody very local to the site or the village where that person died, who was hired to create the portrait. CUNO: Yeah. So you and your colleagues here at the Getty are subjecting our mummy portraits to this kind of technical analysis, complicated as it is, and you’ve got other colleagues in other museums—some how many different museums? Remind me. CUNO: Thirty-three museums all around—well, at least around the European and North America worlds doing the same. And you’re communicating with each other. When you came to me to talk about this project, which you call APPEAR, you had the ambition to combine this massive database of this information and subject it to this kind of analysis by people contributing to it. And you needed a digital platform for this. Could you describe what it is that you were looking for in building this and why it was that you needed to have a kind of more sophisticated technical platform for this? What was it that the technical aspect provided you that you didn’t otherwise have? SVOBODA: So the project that we established here is called APPEAR. And that’s the acronym for Ancient Panel Painting: Examination, Analysis, and Research. And the goal of it is to not study these artifacts in a bubble. The goal is to be able to study hundreds of artifacts, to be able to make comparisons, to be able to find similarities, and to be able to understand working methods and techniques that we can better understand. So the goal of the project was to invite institutions to participate, to have them do the same technical studies that we’ve been doing on our portraits, and to contribute this data into a database. Now, the platform, the database, allows everyone to work together. It is a way of compiling the information into one location, where it can be compared and viewed and accessed, entered. And we have all different types of information that helps the participants be able to navigate through it so that they can better understand other portraits and how they compare to their own portraits. By looking at hundreds of objects versus just a few, we really gain a better understanding of the import of materials, the use of materials, the business of pigment production. Maybe we’ll begin to understand how workshops may have been working, making comparisons between the historic data information, because we’re just beginning to understand the history of collecting these portraits and how important that is to making comparisons in—and where these objects ended up in various collections. What’s important here is that the portraits had always been studied based on who the people were, their ethnicity, their social status. That was always a very important aspect of understanding the portraits. But it’s only recently that people are asking questions about the technology, the materials, how they were made and how they relate to each other in that way. And so I believe that all the institutions are very excited to gain this new information and understanding of these objects, especially because they represent the earliest type of painting in existence. They are the beginning of painting technology and they carry on a tradition for 2,000 years beyond the point from when they were made. CUNO: So at some point, you’re gonna come to at least a temporary halt in this analysis and you’re going to be presenting the finds of your analysis in some fashion. What’s the next step in the process? SVOBODA: Well, the project has been going on for four years now. And from the beginning, the goal was to have a conference at the end of the first four-year period. And we have one scheduled for May. It will be a conference bringing together participants from the project who have a very particular area of interest and an area that shows that they’re collaborating with APPEAR participants. So if they’re presenting on a particular material, such as wood or a pigment or a style of painting, they’re using the database to build their information and make comparisons. And they’re taking all of that as a complete study and will be presenting it at the conference. So the first result of this project will be the papers that are presented at the APPEAR conference, which will be very exciting to finally get to the stage where we have results and information that can be shared with the public. And this conference will be open to the public and anyone who’s interested in learning about these artifacts. We’ll also publish these papers. It’ll be an online publication, accessible to everybody. And we hope that we can continue the extended study of these objects, simply because it’s just now that we’re gaining a wonderful momentum in their study. We’re learning as we go along. And we’re improving the information that we’re requiring, simply by making mistakes and fine tuning the process and exploring new avenues and getting contributions from everyone in the project. So together, we’re building a stronger and better project. And I think that it’s only gaining more strength as it goes along. CUNO: Yeah, it’s a great project, and it’s been that way since you first presented this as an idea, but what it is you’ve accomplished over the course of these four years, with the kinds of participation you’ve had from so manty different museums. We’re looking forward to the results that are brought to the conference. And those results are going to live after the conference by means of the digital publication. But it’s advanced our understanding enormously of this very important early painting in the Western tradition, so we just thank you very much. CUNO: The Getty Villa is currently undergoing a reinstallation of its collections. Although some galleries are temporarily closed, the gallery of Egyptian portrait paintings is currently open to the public. 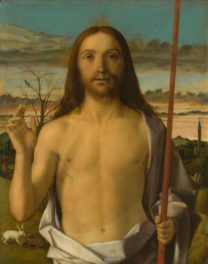 Visit getty.edu for the latest information. EXCELLENT PRESENTATION ON THIS DIFFICULT SUBJECT AREA.BRAVO PLEASE KEEP UP YOUR EXCELLENT WORK. THANK YOU VERY MUCH. Fascinating pod cast. My interest stems from the Gosseportrait (MOMA) viewed in 1989. The relationship of the application and the caustic medium speed pf painting which can be seem to be translated by Frans Hals. Also the Fresco paintings from ancient Greek Orthodox Christian times seen at Palia Hora Chapels (Aegina island, Greece) of which since 1976 have been restored (after covering in lime based wash by the Ottomans). My current research work is to now translate these works into contemporary painting using various mediums and reach a conclusion to understand the basis of ancient technique and (speed) application of paint. Looking forward to viewing the digital results of your project. And congratulations for a splendid and excellent program. Thank you. Denis Taylor. Artist and Editor. painters Tubes magazine. Thank you very much! It was a very interesting talk.